The Attack On Palmyra Shows Professional Staff Work Beyond The Militants’ Capabilities 4.5625 out of 5 based on 16 ratings. 16 user reviews. On December 11, militants from the “Islamic State” (IS), which is banned in Russia, forced Assad’s troops out of Tadmora, historic Palmyra, for the second time and captured the provincial town of world historical significance — not so important strategically, unless you take into account the nearby intersection with the road leading to Deir ez Zor, besieged by IS for several years, with its refineries and air force base. Characteristically, the attacking forces of five thousand fighters with tanks, armored personnel carriers and rocket artillery made their way through the desert for several hundred kilometers without being detected by Assad’s intelligence, which makes experts speak of a possible betrayal at the highest level of the Syrian army command and its Mukhabarat (or military intelligence). The specific question is, where could these 5,000 militants have come from, despite the fact that Mosul remained under “siege” by the US and its coalition, according to “the anti-terrorist coalition,” at the time Palmyra was captured by 3,000–5,000 Islamist fighters? One part of them came from Mosul, even though at that time the road from Mosul to the Syrian town of Raqqa was already cut off by forces from Baghdad and its allies who were besieging Mosul. Another part was composed of Syrian troops who were supposed to be holding Raqqa itself — and who stopped doing so immediately after the United States declared that the storming of the city had been put off for at least two months. That is, it is unclear how the militants filtered out through the troops besieging Mosul, and abandoned Raqqa to its fate, right before the eyes of Kurdish and Turkish parties who are, in theory, competing for the right to attack the Syrian capital of ISIS in alliance with the Americans, and arrived at Palmyra, unnoticed, in spite of their heavy weapons, without a single shot being fired by any aircraft from the US-led coalition, Assad’s air force or, especially, the Russian special forces, and after heavy fighting captured the city. And all that despite the fact that planning such an operation involves professional work in itself, something quite beyond anything the militants are capable of doing. The first wave of the attack destroyed half the Russian aviation, which did not affect the outcome of the battle as a whole: it was a lost cause. Earlier, Palmyra had been taken back from the militants after a complex and meticulously prepared operation, planned and carried out under the direct management by Russian military advisers. It was lost the first time and the second time as well by the Syrians themselves, and quickly, although this time they tried to hold on but yielded to the enemy’s superior forces. Assad’s loss of Palmyra coincided too exactly with the completion of the operation in East Aleppo to be accidental. It is highly likely that the US in this case either directly used IS as an instrument of military pressure on Damascus or turned a blind eye to the fact that it was used by their allies in the “coalition against terrorism” — probably by Qatar and possibly Saudi Arabia and Turkey. Well, Doha, Riyadh and Ankara were at the time coordinating their actions in Syria, when necessary. Which version is true is a separate question. One thing is clear: Washington and its allies have not taken and most likely will not take any action against IS if the terrorist structure is at war with Assad and the Russian military. This renders meaningless any negotiations with them to achieve the final victory in Syria, that is, to go on destroying terrorist groups until the rest surrender and quit the war under safeguards guaranteed by the negotiators from Hmeimim Air Base. That is contrary to the logic of not only Western but also Russian diplomats, and the intent is to limit and attempt to subjugate the activities of the Russian army instead of changing their own stance, dropping their pretension to a leading role, and following military successes by securing the gains politically. The fact that halting the air strikes against the terrorists, and Russia’s voluntary move to limit the actions of the VKS in urban areas and to provide a humanitarian pause, pushed for by the UN and the US, invalidate the results of the military action and make it impossible to bring the war to an end, is clear to any specialist. As to the question of when the army will do what is necessary to achieve the end result, there is no answer today. The current situation in Palmyra is the response from the USA and its allies to the brilliant results achieved by Russia and Russian-backed forces in Aleppo. That city is the capital of the Syrian jihadists, as Benghazi was in its day in Libya. But the fall of Palmyra shows that the Syrian war is far from over. This requires an analysis of the situation both in Palmyra and in Mosul and Aleppo. The plans are to clear Idlib, to retake Palmyra and to lift the blockade of Deir ez-Zor, and possibly — to destroy IS in Iraq because the United States is actually taking no action against that organization, giving it every chance. Let us consider some aspects of the war with the jihadists in Syria and Iraq, based on an article by Yu. B. Scheglovina prepared for IIMES, The Institute of the Middle East. Let’s start by analyzing the situation around Mosul. On December 3, a contingent of Turkish troops entered the grounds of a paramilitary police camp in Al Shikhan to assist the Iraqi army in capturing Mosul. The Turkish reinforcements consisted of three battalions with heavy weapons. They were supposed to help liberate the province of Nineveh from a Sunni militia referred to as the “National Forces to Liberate Nineveh.” Camp Al Shikhan is located on the border of Dohuk and Nineveh, and about 3,500 Sunni militia fighters are being trained there under the supervision of Turkish instructors. They are to advance to Mosul in the near future. According to experts, it is too early to talk about a real large-scale participation by Turkish troops and their participation in the storming of the Iraqi capital of IS. It’s more like a rotation of Turkish contingents. Iraqi Prime Minister H. al-Abadi’s negative reaction to Turkish participation in the civil war in his country is well-known. Ankara will take this into account, despite the harsh words of Turkey’s top leadership. The Turks are more concerned with the continued presence in Iraqi Kurdistan than participating in street fighting in Mosul or the liberation of the “Sunni triangle.” Kurdish autonomy increases Iran’s influence, using contacts with the clan J. Talabani and the Kurdistan Workers’ Party. There are IRGC instructors there, and multiple launch rocket systems are in place. The storming of Mosul seems to indicate a new stage. Iraqi special forces together with police and militia are being drawn into street fighting. According to the US military, victory in Mosul is not in sight. The attack has been going on for two months, and the Americans were forced to adjust their initial plans twice. Apparently, they will have to do it a third time. The Iraqi special forces attempted am attack on the orders of al-Abadi. The military is trying to attack from the east, which allows IS to maneuver, concentrating forces on priority areas. The leadership of the coalition and the Iraqi commanders are losing their nerve. Recent strikes on civilian targets show that the Iraqi security forces and the Americans have shifted to the forcible ejection of the population from Mosul. This tactic applies to the destruction of water pumping stations, which deprived 650,000 people of clean water. In October, the Iraqi prime minister pressed Tehran, demanding they bring Shiites who are loyal to Iran into the active fighting forces through popular mobilization. The command of the Iraqi army is opposed to that. At the same time the government forces’ artillery is ineffective in the city. IS militants have created a system of underground tunnels in Mosul that allow them to show up in the rear of the Iraqi military. IS uses booby traps and car bombs. The narrow streets allow bombers to attack the advancing fighters. The IS Command is successfully using winter conditions for raids by mobile groups with heavy weapons in the rear of the Iraqi units. The army is calling on the population to remain in the city, and at the same time Prime Minister al-Abadi tells them to leave. Baghdad’s Special Forces, who managed to gain a foothold on the eastern outskirts of Mosul, lack support from the 9th Division. The tanks tried to enter the city, but once they were subjected to ambush, they retreated. The Iraqi forces lost about 2,000 people in November. In support of the 9th Division, the 15th and the 16th have been pulled in; that means almost all the forces are concentrated in the east. In addition, part of the 15th Division controls a narrow stretch of the front in the southwest, on the road from Mosul to Tel Afar. It is preparing for an attack. However, this sucked in the US military, which began to participate in the fighting on the streets of Mosul. The complete defeat of the Islamists in East Aleppo led to sharp divisions in their ranks. Some militants laid down their weapons. Others agreed to leave the city, retreating along the corridor they were allocated to the province of Idlib, which remains under the control of Assad’s opponents. The leaders of “Jabhat al Fatah al-Sham” (ex- “al-Nusra,” banned in Russia) and “Kataib Abu Ammar,” opposed the surrender. Radicals attacked the brigade headquarters “Jaish al-Islam” and “Feylak al-Islam,” which were suspected of intending to surrender; they seized weapons warehouses. The field commanders were arrested, with Abu Abdo al-Sheikh first and foremost, as he had entered into negotiations with government forces. While attempting to maneuver with their names and change the “Jabhat Al-Nusra” to “Jabhat Fatah al-Sham” in order to hide the terrorist group in an alliance of nine groups. It fell apart, and the leadership publicly tried to refuse to dissociate “Dzhabhat Al-Nusra” from its alliance with “al-Qaeda.” Formally, after much persuasion on the part of the Turkish MIT and the General Directorate of General Intelligence of Saudi Arabia, the split was formally announced. But it was done in such a way that Washington had to say that the separation from “al-Qaeda” was not credible. That did not prevent the US from refraining from air strikes on “Jabhat al Fatah al-Sham” positions. Riyadh might not go for rejecting the ideology of “al-Qaeda,” as that — along with the money factor — ensures the arrival of new volunteers. Among those fighting for “Jabhat al Fatah al-Sham” are a lot of diehard Islamists. Against the backdrop of the defeat of the armed opposition in Aleppo, the Turkish MIT and Qatari State Security Service are trying to transform the decaying alliance of nine opposition groups. As suggested in Ankara and Doha, with the loss of Aleppo as a center of resistance, the base for future expansion of the anti-Assad forces is gone. In this regard, it has been suggested that the next task would be to create a center of Sunni resistance in Idlib, where “reconcilable” militants from Aleppo and the outskirts of Damascus are going. This allows them to gain time, to avoid a final defeat and to restore their combat capability. With regard to pro-Turkish groups above all, Ankara and Doha are trying to become key partners and sponsors of a re-structured Syrian rebel movement, squeezing out the KSA and Jordan. At the same time the coalition “Jaish al-Fatah” not only broke up into smaller groups, but the two largest of them are experiencing internal dissension as well. “Jabhat al Fatah al-Sham” was divided into “al-Qaeda” supporters and its opponents. Jordan’s Abu Khadija al Urduni is the main opponent of the pro-Saudi elements; he is closely connected with the Office of General Intelligence of Jordan. “Ahrar al-Sham” was divided between supporters of the Salafis and the “Muslim Brothers.” This group was financed by both Riyadh and Ankara. A conflict arose between their protégés. Qatar and Turkey are making efforts to preserve the centralized Sunni resistance in Syria and provide the ideology of the “Muslim brotherhood” with political legitimacy in the West, positioning it as the main political force upon which to build the future state architecture of Syria. These plans and the prospects for their implementation are viewed with skepticism in analyses by the Saudi and Emirati security services. They indicate that it is impossible to overcome the rift and that such attempts are a waste of time. The documents indicate that the efforts of the Syrian security authorities have been productive, resulting in mass desertions, beginning with a significant number of guerilla field commanders. Riyadh is at a crossroads in choosing future tactics, and that has a negative impact on the amount of logistical support given to the militants. There are doubts about the possibility of centrally managing the entire conglomeration of anti-Assad groups. Fortunately, the successful offensive in Aleppo seriously reduced their chances. Given the questions about the conduct of US troops and their coalition during the IS attack on Palmyra, we have to analyze the American initiative against Aleppo as well. The inconsistent messages from Washington, first presented by Secretary of State John Kerry and then retracted, and a massive EU attack on UN Secretary General Ban Ki-Moon (he is due to leave his post and can say anything he likes; in this connection one can only be curious as to what his next job will be, and that may explain his behavior), and the introduction of new sanctions against the “friends of Assad” indicate that the West is panicking because of the fall of Aleppo and the fragmentation of the Sunni resistance in Syria. Kerry’s proposals are designed to save the besieged and to seize the initiative from Moscow. The State Department believed that causing a delay by implementing another humanitarian ceasefire would help Assad’s opponents to regroup and to gain a foothold at least in some parts of eastern Aleppo. Then it became apparent that the militants are leaving the city and any talk of a united front is impossible. After that, the US rescinded its initial proposal, trying to understand what was happening, what the dynamics are, and what options are feasible. Hence the main round of US–Russian consultations was put off to 9 December. Washington just doesn’t know what to do. Europeans do not understand this, but they do realize that as far as Syria, the initiative belongs to Russia. Brussels’ participation in humanitarian assistance programs for “suffering Aleppo” is minimized. It would be politically incorrect to say: “We cannot provide humanitarian aid to the Sunnis in Aleppo through Moscow and Damascus, because that would be evidence of their dominance”; and it’s risky from the point of view of public opinion in the Near East and Middle East, where European leaders are already being accused of putting their personal political ambitions ahead of saving the life of starving Syrians. White House Press Secretary Josh Earnest, responding to reporters’ questions at a press conference, was unable to say how Washington intends to make Moscow change its policy in Syria. He mentioned sanctions, recognizing that they often do not work. He recalled that sanctions had been imposed earlier in relation to Iran and Syria, and several resolutions were adopted by the UN Security Council. Ernest urged people not to confuse the protection of American interests and military actions against IS. “The situation in Aleppo has garnered a lot of attention, but we cannot allow the tragedy of Aleppo to overshadow the importance of what was done by the United States military and 67 members of the coalition,” he said. After the coalition’s inaction against IS during the taking of Palmyra, that sounds mighty cynical. Meanwhile the US military bombed a hospital in Mosul, which, according to them, they believed was the IS headquarters. Even if that were the case, this is a dubious justification in terms of democratic standards. Washington continues to believe that Russia is not focused on fighting ‘Dzhabhat al-Nusra’ but on supporting Bashar al-Assad. This statement was made at a regular press briefing by the US State Department Deputy Spokesperson Mark Toner. “Russia and the US agree that ‘al-Nusra’ is a terrorist organization and must be destroyed, like IS. But we still have not seen that Russia focuses on ’al-Nusra.’ It is focused on helping the regime deal with the moderate opposition in Aleppo. We believe that this is exactly what is happening there,” says Toner. It is well known that in Aleppo “Dzhabhat al-Nusra” and its affiliated groups were the primary actors, as was officially announced. No one was stopping the US from bombing “Dzhabhat al-Nusra” positions in Idlib (but they did not do it). It is clear that the officials in Washington and Brussels take this position due to the fact that Syria, and Russia’s actions there, mean the end of the unipolar world. Washington and Brussels don’t like it. But to say this openly is fraught with risk to their reputations. In this regard, they have adopted the tactic of enrolling all the major forces in Syria that are hostile to Assad. There is not too much logic here. This has also caused Washington and Brussels to lose the information war. It seems that in this situation the main goal for Damascus and Moscow in the Syrian conflict has not changed. This is the final clean-up of Aleppo with the simultaneous launch of humanitarian aid programs. It would be good to organize a trip to Aleppo for foreign journalists, as was done at the Hmeymim Base. In general, it is important not to allow the West to seize the initiative, in the information and political sense, in the Syrian conflict. Take note of the position taken by Beijing, which has begun to express greater support for Moscow’s actions at the UN. This has really frightened the West. The level of fear is indicated by the US neutrality (if not support) of the the actions taken against IS during the recent capture of Palmyra. In the final analysis, no one from Ankara or Washington has fulfilled Riyadh and Doha’s request to overthrow Assad. In short, obama and the crazy wahhabists lost and there is nothing they can do about it. Come Jan 20, all of these various groups that are supported by the obama regime will finally be removed, and the trump presidency has little appetite for war. It will all come crashing down very fast. Could also be that ISIL were tempted to invade Palmyra and have their 5000 odd misfits exposed in the open. US and coalition have also bombed them at Palmyra and according to reports the terrorists are loosing badly, fighters, weapons, vehicles and ammunitions are being destroyed. The Syrian soldiers at Palmyra apparently deserted and retreated leaving Russian weapons and vehicles behind. According to Russia the vehicles didn’t work and the weapons, ammunition were of small calibre, which the US raid destroyed. I think you are mostly right. Maybe Syria should now look south and try to clear the whole country south of Aleppo of terrorists, all the way to the Israeli border. And only after that should it try to push north, as closely to the Turkish border as Turkey will be willing to accept. Until then it should only contain the front in the north, and harass the terrorists with attacks to their heavier military assets. This is a game of patience, as Russia does not seem willing to commit any greater military means to the fighting. Syria is not Cyprus and its definitely not Iraq. Few months ago it was wishful thinking that we will liberate Aleppo and now Aleppo is liberated. What if this is troops where paradrop and for the heavy equipment they could flown them in say Saudi Arabia . their is a airbase close by palmyra that IS controls . Coalition aircraft could had use electronic warfare they do have planes like that flying over Syrian airspace. Theirs no way possible the Russian or the Syrian miss this but if they did it would mean that some one was jamming them. This is just a theory . You mean Obama bin Laden. Its tje Democunts funding and arming ISIS along with his filthy Saudi prince gay playmates. Trump will with Putin finally put an end to this crap. You’ve fallen for the classic Masonic dualism. It is a grave mistake to think Republicans and Democrats have a different foreign policy. They are merely different Lodges of the same order, and have cooperated on foreign policy seamlessly for decades or more. I liked reading this very much. I am not buying the reported explanations for why IS made a ‘successful’ move on Palmyra. I have been watching the Russians more closely since 2014 in Ukraine and I have not seen them do ‘stupid’. There is much more to this story coming forth. I am beginning to wonder if it was intentionally allowed, for a variety of reasons. Somebody may finally understand how to deal with them and this may be an example of how to plow the Islamic State. A large number of ISIS troops are being very conveniently mowed down, as well as their equipment destroyed, at little cost and with no permanent effects. Warfare is tricky business and there are always deceptions and traps. I wish a good weekend to all. The war breaks out shortly after. French and British running the same show done on Libya. 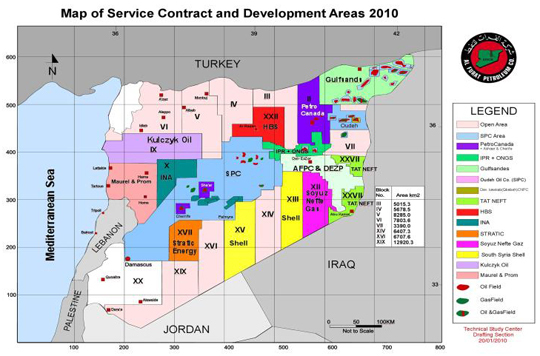 Taking Syrian oil/nat gas concessions and putting them on the stock market and trade. Iran is ended in its agenda. Dont think Your version has be be taken as much more than one piece in a very moveable puzzle. All are doing their best to get cintrol of oil & gas and ditribute it and make money by that too. Does Yevgeny Satanovskiy have a military background? 1. ISIS, and everyone else on the planet, knew that Syria’s best forces were in Aleppo and that Aleppo was about to fall. There was no value in waiting any longer because most of the bloodletting was over so they struck before Syria could relocate their troops. This was an opportunistic strike. 2. ISIS has former Iraqi officers and they don’t use those guys for suicide attacks. They could have moved forces from Deir Ezzor since the SAA is bottled up their. They had many weeks to move whatever they needed across the desert in whatever stages they wanted. They have been avoiding air forces for years, they know how to do this. Russian Intel didn’t notice it either. I am cheering for R+6 but sometimes it is easy to get caught up in conspiracy theories. As Freud said, ‘sometimes a cigar is just a cigar’. I don’t know, on one hand Russia and Syria threaten to shoot down collation assets if they fly in Syria and then you complain if the coalition doesn’t give them a heads up on ISIS troop movements in Syria? It has been clear for years that the SAA lacks the man power to be effective on 2 fronts, they focus on one front at a time and always loose ground in the other, this seems to be par for the course. History clearly shows ISIS to be a very capable and well lead combat force even if they are scumbags. Sometimes I love this website other times I think its propaganda and bias, Its a mixed bag for sure. Israel kills millions of Russians and Syrians and Iranians. And the three stogies are too stup*d to even mount a counter attack against Israeli-Supremacist. Only the IRGC can change these conditions, as Russians are to scared to face Israel hardened militants and Mossad operatives on the battle field. Till the day comes when Russians are not longer scardy carts to shoot Jews on the battle field, then Russia will crumble from their self imposed fear. Impossible to believe that Russian and Syrian intelligence was not expected Palmyra attack. The way the city was evacuated within days shows that it is a trap for ISIS. They will mostly be butchered or blown. Anyway, Iraq got respite. May be Obama + Saudi family wanted to save these ISIS goons when Trump takes over. This article is a bit confusing and not convincing in its logic. Yes, the US is desperate. But its goal for quite a while has been and until Obama leaves office, continues to be, to inflict as much cost on Russia as they can along the principle used in Afghanistan, where al Qaida jihadis were used to fight against the Soviet occupation and in time caused the Soviet Union to go bankrupt. The primary US goal in Syria is to bankrupt Russia to implode its economy and oust Putin. In order to make that possible, the US only playacted that it fights ISIS. In reality it pushes ISIS in different places to position it to intervene in Syria. The renewed attack on Palmyra, simultaneous with the final liberation of Aleppo, intended to draw the Syrian army away from Aleppo to fight in Palmyra, as a detraction, which would then have given the rebels/alNusra time to regroup and rearm for an assault on the Syrian army in Aleppo. Russia didn’t go for the bait. Which means that Palmyra is now in the hands of ISIS again and will require a new battle to liberate it again. But that was for the Russian/Syrian operation in Aleppo the smaller problem. The liberation of Aleppo will deprive the opposition and ISIS/al Nusra of its real capital. Palmyra is a mid station from which to attack Homs and Hama and recapture the road from there to Aleppo. It is therefore way more important for the Syrian army to concentrate its battle in western Syria rather than to spread out too thin to save Palmyra. Nor will the US liberate Raqqa in the month before Obama leaves office. Which means, Trump will inherit this whole mess and hopefully will cooperate with Russia in a genuine way – at which point ISIS would end in a couple of months.